Red Rubber Inspirations: Facebook 500 LIKES Sweepstakes! Are you on Facebook? Do you LIKE the Red Rubber Designs Facebook page? If so, this post is for you! Red Rubber Designs reached 500 LIKES on our Facebook page! That deserves a giveway - or two.... or more! A BIG THANK YOU to all of our Facebook fans! And the more entries we get, the more prizes we give away! But you have to enter to win! If you don't yet LIKE our Facebook page, do it now so you can enter the sweepstakes! Note: Facebook will ask you to "Login with Facebook" and then show this app as "Custom Tab 1". It's weird, I know! But it's okay - it's the ShortStack app (www.ShortStack.com) that takes your sweepstakes entry. It's safe, or I wouldn't use it. Good luck! 2. The sweepstakes will be conducted through February 6th, 2013. Deadline for entries is February 6th, 2013. Drawing will be held on Thursday, February 7th. 3. Qualification for the sweepstakes drawing: You must LIKE the Red Rubber Designs Facebook Page in order to participate in the drawing. Once you LIKE our page, the entry form will be available to you on the Red Rubber Designs Facebook Page. Important: Entries are restricted to participants in countries that Red Rubber Designs ships merchandise to. Please see our Shipping Information page for details. ONE winner will be chosen if there are 25-49 entries (prize #1 awarded). TWO winners will be chosen if there are 50-99 entries (prizes #1 & #2 awarded). THREE winners will be chosen if there are 100-149 entries (prizes #1, #2 & #3 awarded). FOUR winners will be chosen if there are 150-199 entries (prizes #1, #2, #3 & #4 awarded). FIVE winners will be chosen if there are 200+ entries (all five prizes awarded). One FREE stamp set of the winner's choice valued up to $5.00 retail. One FREE stamp set of the winner's choice valued up to $7.50 retail. One FREE stamp set of the winner's choice valued up to $15.00 retail. 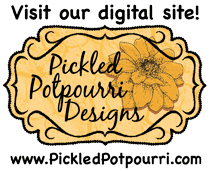 Winner can choose any combination of our patterned cardstock/paper collections of their choice valued up to $16.00 retail PLUS one FREE stamp set of their choice valued up to $5.00 retail. 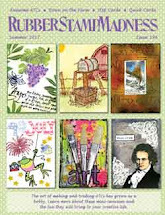 Winner can choose any combination of our patterned cardstock/paper collections of their choice valued up to $20.00 retail PLUS one FREE stamp set of their choice valued up to $7.50 retail. 6. You must be 21 years of age or older to win. No purchase necessary. One entry per household. You need not be present to win. Void where prohibited. 7. The contest is open to everyone with the exception of employees of Red Rubber Designs LLC, their families, agencies and representatives. 11. Approximate value of all prizes total $100.00 (including shipping costs). I "LIKE" Red Rubber Designs VERY much! !